Spin the wheel to win a prize. 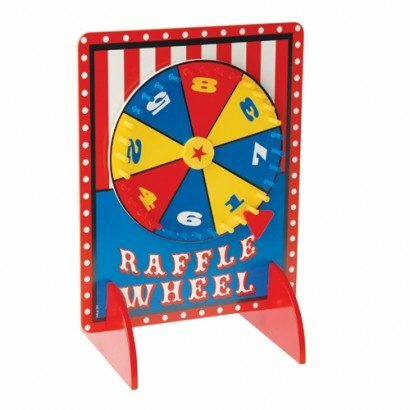 This deluxe raffle wheel is a small table top version perfect for parties or small carnival booths. Made of wood, this sturdy game will keep everyone having fun for hours at atime. Dorothy from Hasbrouck Heights & Susan from Jackson purchased this item recently.